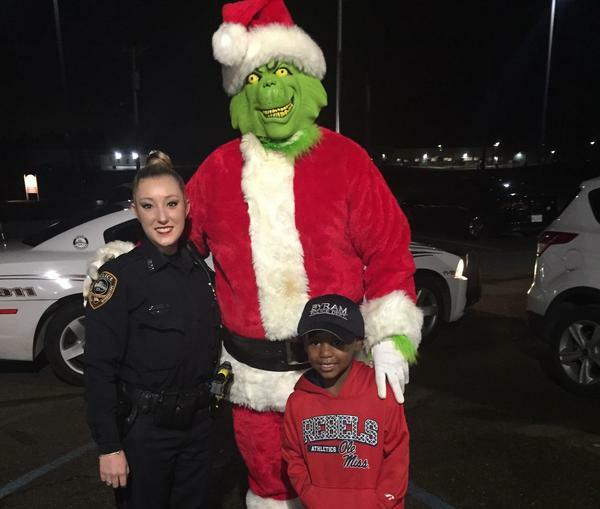 Five-year-old TyLon Pittman thought the Grinch was going to steal Christmas, so he called the police in Byram, Miss. Officer Lauren Develle wanted to assure TyLon that the police department had it under control, so she set up an arrest of the mean, green monster. Police in Byram, Miss. got a hot tip on a heist last week when 5-year-old TyLon Pittman called 911. "I'm just trying to tell you something. Um, watch for the Grinch, 'cause the Grinch gonna steal Christmas, OK?" TyLon told the officer who called him back. Yes, that's right. TyLon was trying to turn in the Grinch. He'd been watching doctored YouTube videos of the classic Christmas tale, How the Grinch Stole Christmas, and was getting pretty worried about it when Officer Lauren Develle heard about TyLon's call. "He actually thought the Grinch was going to come and steal everybody's Christmas," Develle says. Develle decided to visit TyLon at his house and assure him that the police had the situation well in hand. "He really kind of just needed that reassurance from someone that Grinch could not do that this year — he's not getting away with anything," she says. Develle asked TyLon what should happen if the Grinch did show up. He told her that they should pick him up and put him in jail. So the next night, TyLon got to do that himself. After checking with Byram Police Chief Luke Thompson, Develle set up the arrest, with a friend dressed in costume as the mean, "charming as an eel" monster. "He got in the back of my car as the Grinch and let me get TyLon and bring him into the station for booking," Develle says. TyLon wants to be a police officer himself on day, and that night, he left the station with an armful of gifts from the officers at the Byram Police Department, including a little toy police car. But the most important gift came from Develle: A copy of the book, How the Grinch Stole Christmas, by Dr. Seuss, to set the record straight about the story. "It's all about the Christmas joy — bringing the joy of Christmas to a mean Grinch's heart," Develle says. 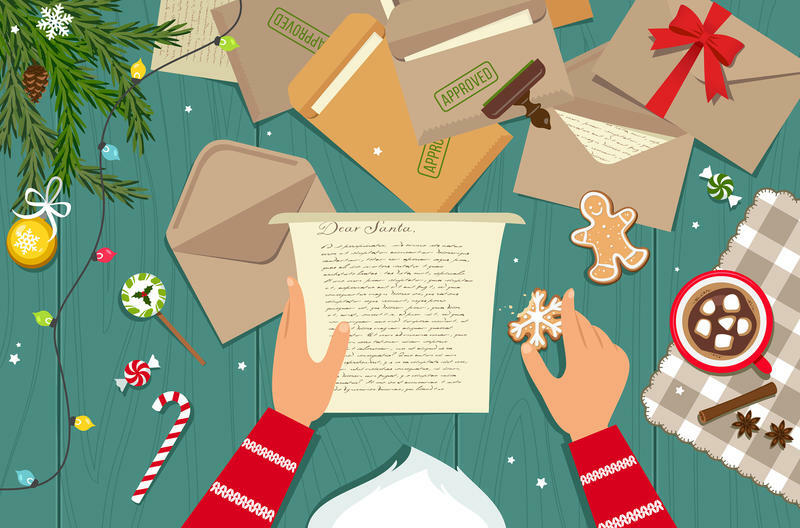 "And I just wanted to make sure that TyLon knew that as well — that the Grinch was really capable of loving Christmas as well." Sarah Handel and Barrie Hardymon produced and edited this piece for broadcast. Wynne Davis produced it for digital. Five-year-old TyLon Pittman of Byram, Miss., had a hot tip on a heist last week, so he called 911. UNIDENTIFIED WOMAN: This is the Byram Police Department. We had a 911 hang up from this number. TYLON PITTMAN: I'm just trying to tell you something. Watch for the Grinch 'cause the Grinch going to steal Christmas, OK? FRAYER: That's right. TyLon was trying to turn in the Grinch. He'd been watching doctored YouTube videos of the classic Christmas tale, "How The Grinch Stole Christmas," and he was getting pretty worried about it. Officer Lauren Develle of the Byram, Miss., PD got wind of TyLon's call. LAUREN DEVELLE: He actually really thought that the Grinch was going to come and steal everybody's Christmas. FRAYER: So Officer Develle paid a visit to TyLon's house to assure him that the police had the situation well in hand. DEVELLE: He really kind of just needed that reassurance from someone that, you know, Grinch cannot do that this year. He's just not going to get away with it. FRAYER: She asked TyLon what should happen if the Grinch did show up, and he told her they should pick him up and put him in jail. So the next night, TyLon got to do that himself. With the blessing of Chief Luke Thompson, Officer Develle set up the arrest with a friend in costume as the mean monster. DEVELLE: He got in the back of my car as the Grinch and let me get TyLon and bring him into the station for booking. FRAYER: TyLon wants to be a police officer himself one day, and that night, he left the station with an armful of gifts from the officers at the Byram Police Department, including a little toy police car. But the most important gift came from Officer Develle - a copy of the book "How The Grinch Stole Christmas" by Dr. Seuss to set the record straight about the story. DEVELLE: It's all about the Christmas joy, bringing the joy of Christmas to a mean Grinch's heart. And I just wanted to make sure that TyLon knew that as well, that the Grinch was really capable of loving Christmas as well. FRAYER: Officer Lauren Develle of the Byram, Miss., Police Department. Transcript provided by NPR, Copyright NPR. In South Florida, it can be easy to forget what time of year it is. But even though the thermometer is traveling up past 80, it is the holidays. Here are snapshots — or postcards — of some South Florida holiday traditions. The first time I heard about Caga Tió, or Tió de Nadal, my family was getting settled into our life abroad in Barcelona this fall. A new friend's teenage daughter was telling us about the Catalan traditions she celebrates in school. "During Christmas, there's a log that you feed scraps of food, and then he poops presents when you hit him with a stick and sing a song!" Children all over the United States will have a big decision to make on Christmas Eve: Would Santa Claus prefer a chocolate chip cookie for a snack or perhaps a peanut butter and jelly sandwich?